January’s like the Monday of months. Congratulations on surviving that! 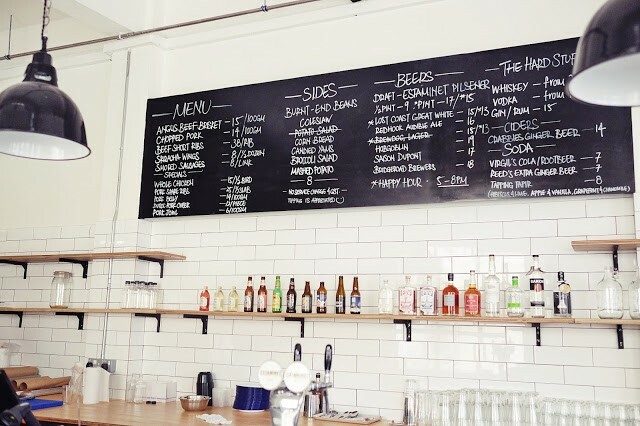 Now it's time to herald in a new month with a slew of new cafes and restaurants to check out. Whether you’re trying to get back on the healthy eating wagon - a resolution which you might have failed after three days but that’s okay, we won’t judge - or looking for a swanky hotspot to spend Valentine’s Day evening, we’ve got you covered. 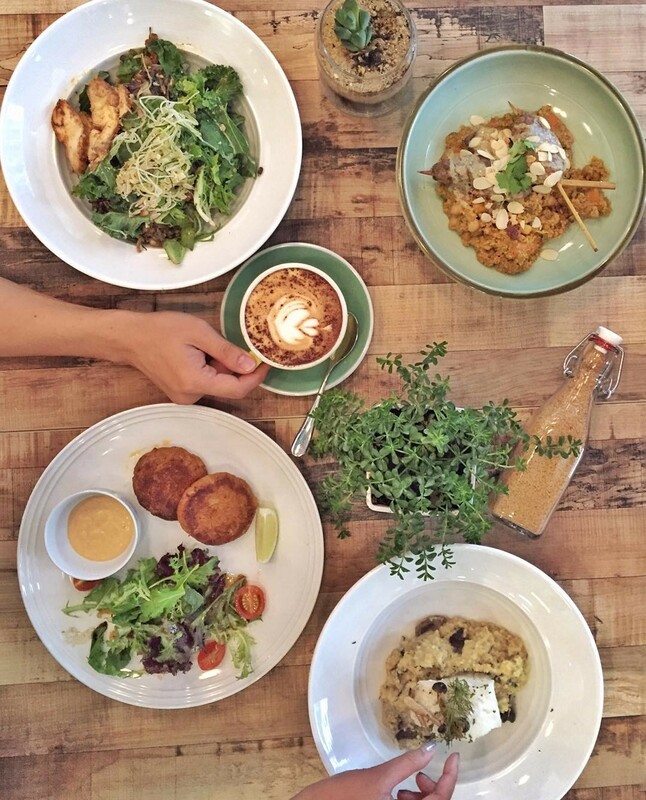 For everything else in between, here are 20 new cafes and restaurants ranging from gloriously colourful desserts to a carnivore’s dream come true that’ll leave both your tummy and Instagram feed satiated for the entire month. 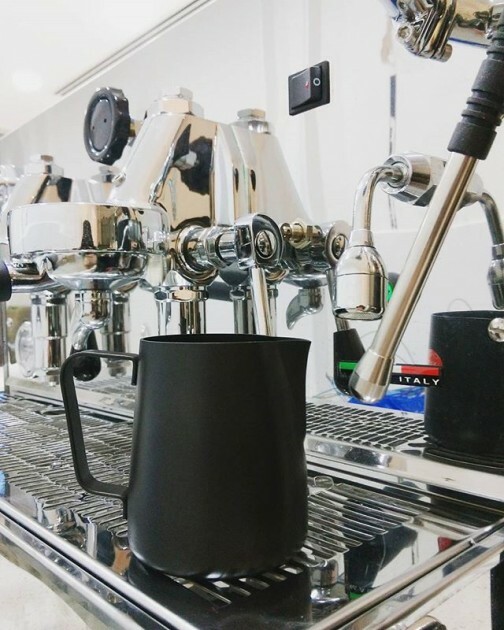 Fans of cafe-hopping cult favourite Assembly Coffee now have a new haunt to get your caffeine dose. On top of their famed quality brews, expect to indulge in dishes that are just as delicious to your tummy and tastebuds as they are to the eyes. Waffles may be Assembly’s signature, but Atlas’ menu will squash cravings for people supporting either side of the Waffles vs Pancakes debate. Their luxe and completely droolworthy Candied Bacon Buttermilk Waffles ($14) and ATLAS Banana Butterscotch Pancakes ($18) are must-tries! If you’ve already fallen off the healthy eating wagon, don’t fret just yet. Your New Year’s resolution could still be saved by introducing these yummy and nutrient-packed acai treats to your diet. Flown in all the way from Brazil, the power fruit is said to promote weight loss, healthy skin and boosts energy as well. Not bad for something that tastes this good! 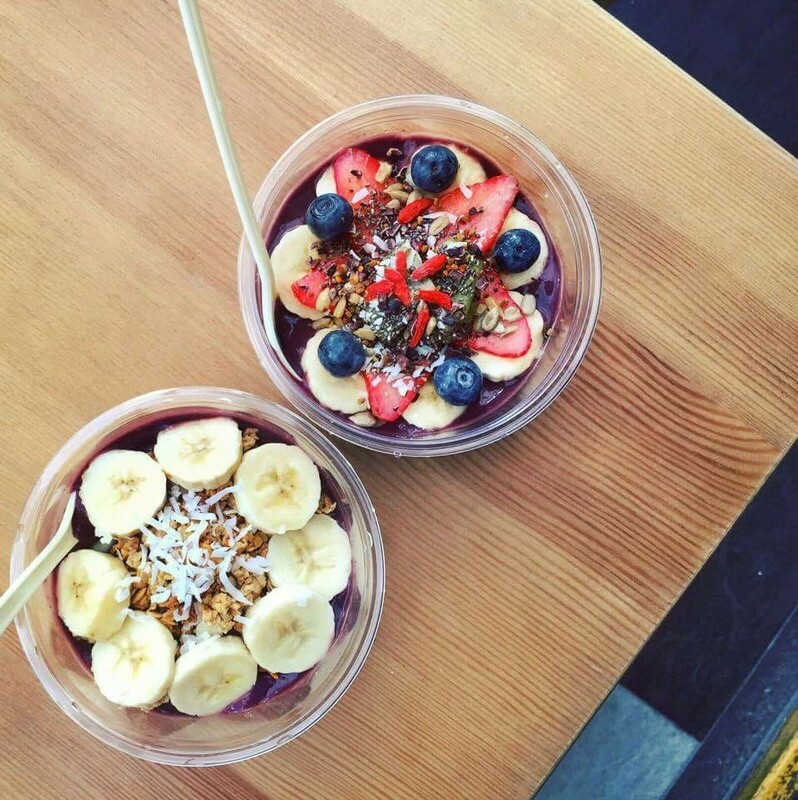 You can’t go wrong with their Signature Acai Bowl ($7.50, $9.50 and $15.50 for small, medium and large respectively), completely decked out in colourful fresh fruits and sprinklings of nuts and seeds which are sure to perk you up. 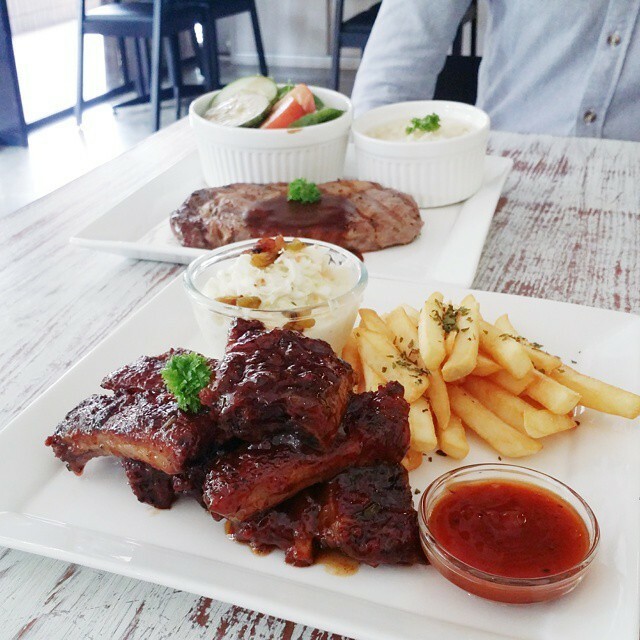 People have already been flocking to Flavour Flings in Hougang for their American and French influenced all-day brunches, and they’re about to become boundlessly more popular. 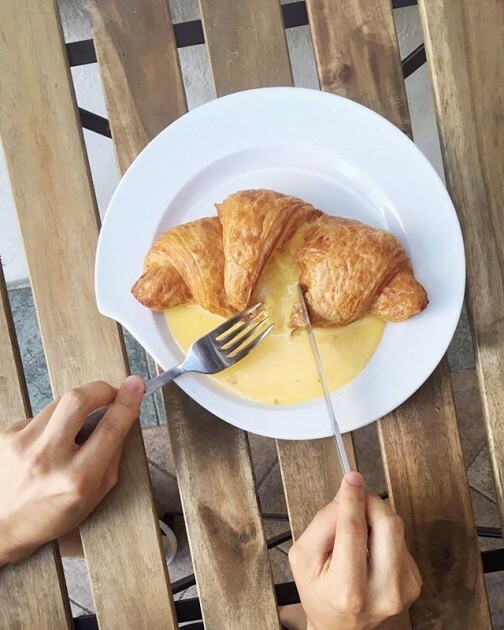 Besides recently receiving Halal certification, they’ve become the first in SG to bestow upon us the much raved about creation that is Salted Egg Yolk Croissants ($7.50). We no longer have to cross the border just to savour a freshly baked croissant oozing with golden egg yolk sauce. Time to make our way down now and get a hold of these piping hot, flaky goodies by the dozen! Admit it, you probably love combining already-delicious treats to come up with wacky new concoctions. Here’s a cafe that’s perfected that art of mix and matching, creating unique dishes that will make you say “oh my tian” indeed. 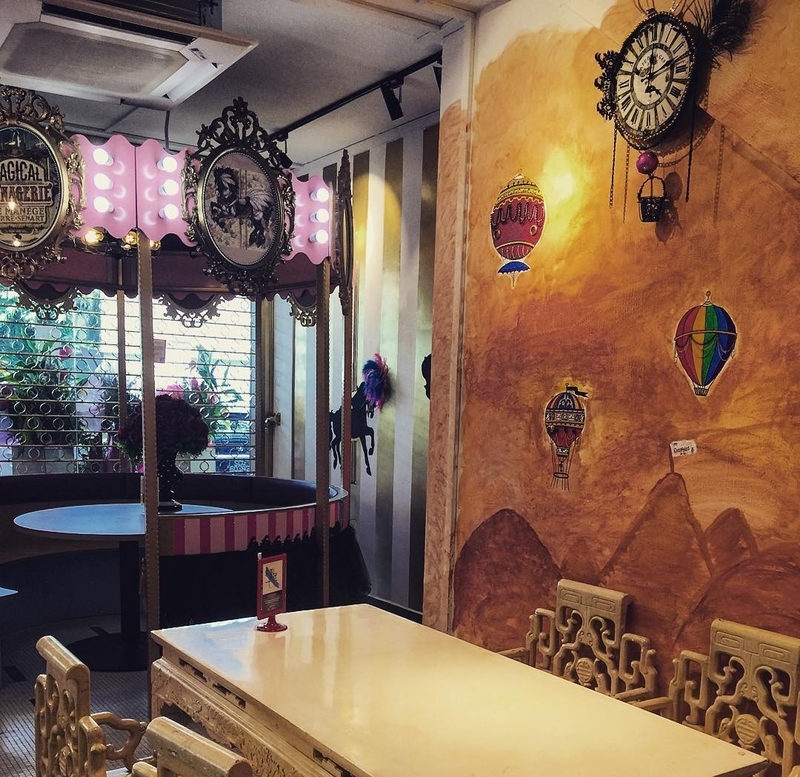 Uber whimsical decor like unicorns and hot air balloons make for quite the Insta-backdrop, and there’s even an actual carousel booth for you to dine in. 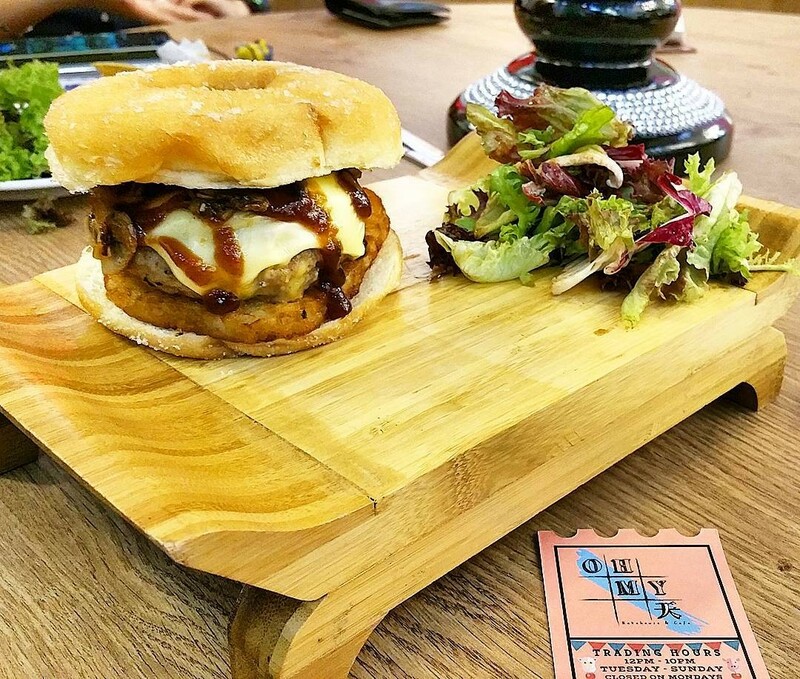 Take your tastebuds straight to heaven with dishes like Donut Burger ($13) and Hash Brown Pizza ($12). Did someone say, best of both worlds? 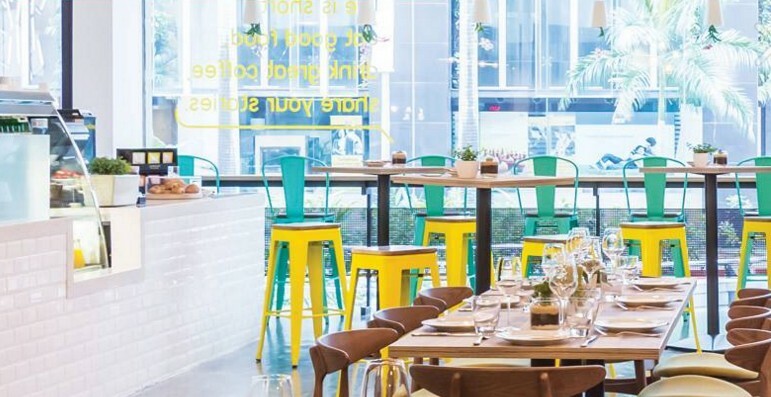 In a bright and cheery setting, Elements & Co creates hearty dishes for every meal, each using wholesome ingredients coming from pretty much every food group. Their Frenchie’s Summer Salad ($13) features chicken strips rubbed with piri piri spice. It rests on a bed of mesclun mix and power-packed kale, with sprinklings of various nuts, seeds and even pomegranate arils for a blend of textures and flavours throughout. No wonder it’s a hit among local urbanites! 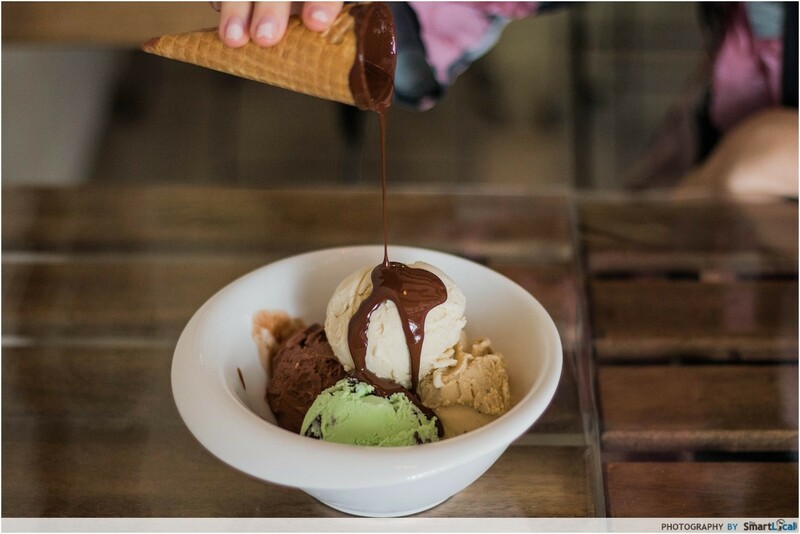 More than just quality gelato in ever-changing flavours, Churn Creamery is the first and so far only ice cream parlour here that offers Molten Chocolate Cones ($1 top-up with every scoop). The hardworking and passionate team behind the droolworthy desserts are constantly coming up with new flavours and are even open to special requests. Our personal faves are Strawberry Cheesecake ($4.80) and Baileys Milo ($5.80). Check out the other sweet treats we got to enjoy from Churn Creamery here! Missing that "cha chaan teng" (茶餐厅) vibe from your last trip to Hong Kong? 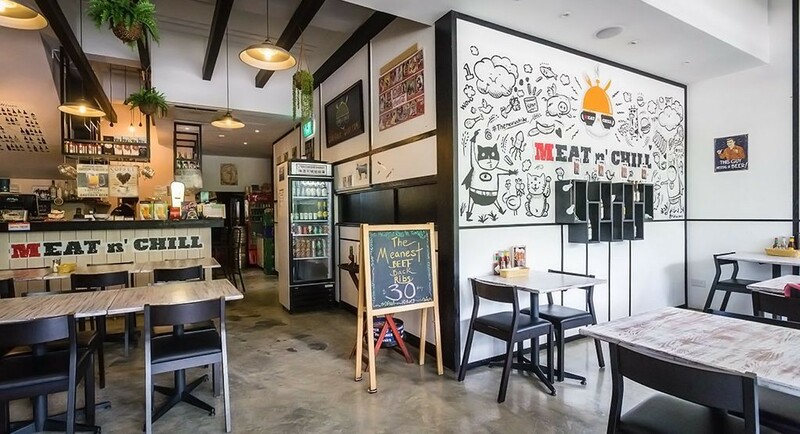 Whether it’s Grilled Pork Belly Rice ($9.80), Luncheon Meat Noodles ($6.80) or the quintessential HK nai cha otherwise known as Milk Tea ($3.50), you can now get your fix right in the heart of Singapore. Trust that you’ll practically be able to taste the quality in these dishes that are slowcooked with love. 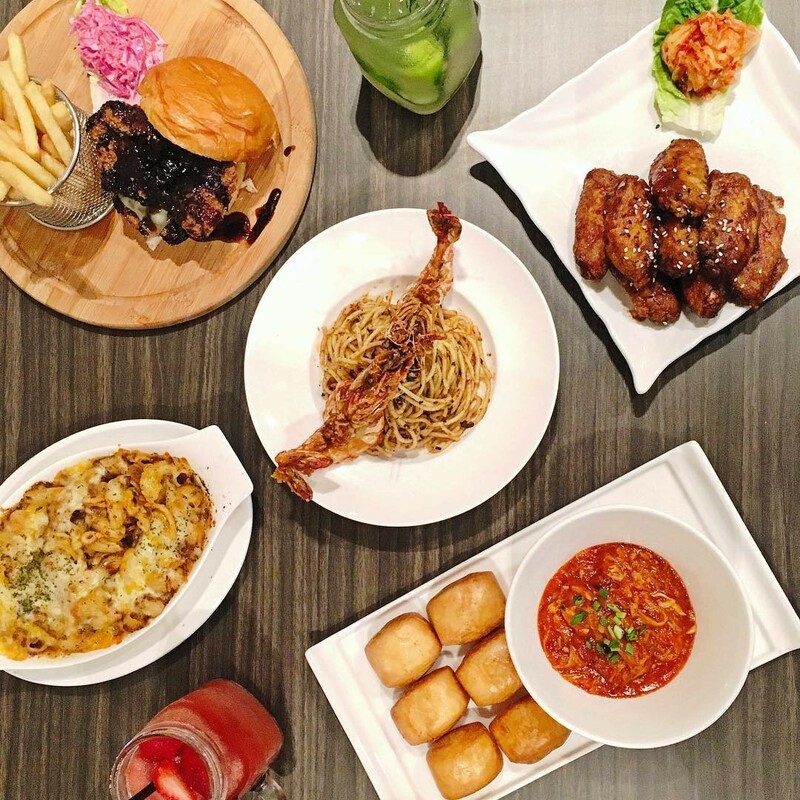 Amidst all the extravagantly themed cafes, SING HK will do the job of serving up comfort food in a fuss-free, albeit slightly cramped, environment. Office dwellers now have a new go-to spot for not just lunch but a much needed midday pick-me-up as well. 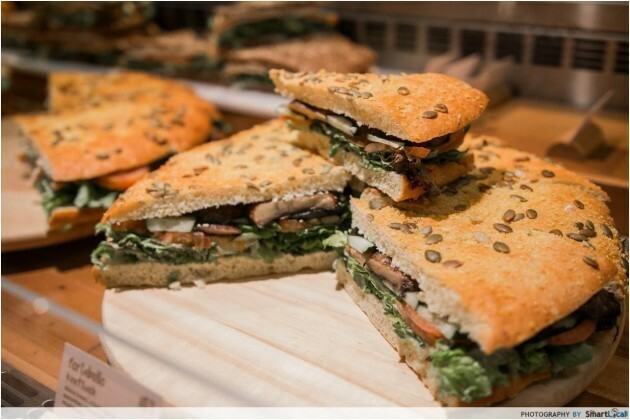 Hearty yet nutritious sarnies like the Portobello Mushroom Kraftwich ($8.90) will keep your hunger levels in check throughout the work day. Looking to put a little more pep in your step? Sip on their Spinach and Apple Pressed Juice ($6.90) for an instant boost of antioxidants. Who knew a mug of something so green could taste this good? Check out what else we liked from Kraftwich here! Here’s a cozy spot to duck into and grab a hot cup of java when you need to get away from the stresses of city life. 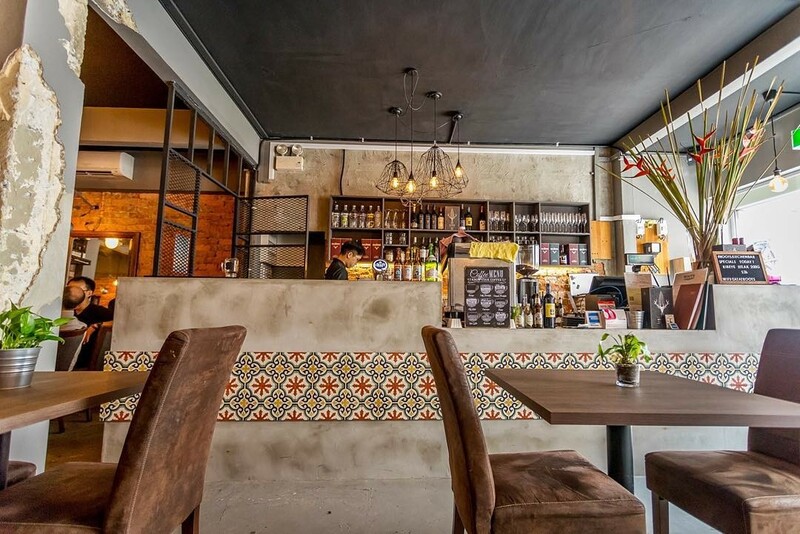 New kid on the CBD block, Ivory Coffee, dishes up premium coffee and food in a sleek white setting with crisp furnishings that’ll bring life to the dullest of work days. Spice things up with their Apple Cinnamon Latte ($6), a yummy caffeinated beverage equivalent of apple pie that’ll leave you feeling all warm and fuzzy inside. It even comes with cinnamon sticks for you to stir with! A new opening over at Woodlands’ The Woodgrove will soon give reason for anyone still riding high on the waffles and ice cream hype to travel to the North. 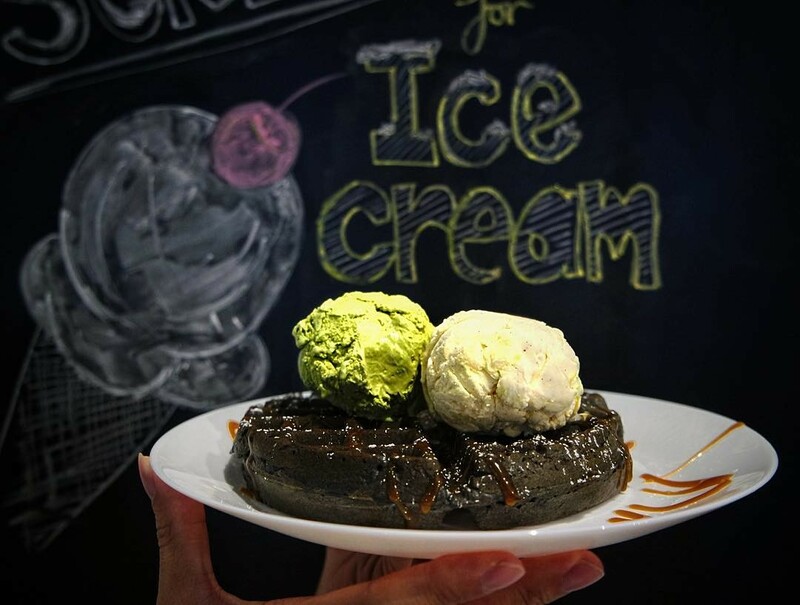 Besides Classic Waffles ($4.50) and special Charcoal or Red Velvet versions (both $6 each) that are all ever-so-slightly crisped on the outside and fluffy within, the ice cream flavours they have on offer are sure to have you tickled pink. Officially launching in mid-February, keep a look out for their fancy sounding Golden Vanilla ($3.80) and Creme Brulee & Figs ($4.50) flavours. Thanks to the newly opened Rochor MRT station, this mod-European restaurant is now even more accessible. Mention Roots to anyone with an Instagram account and you’ll know that their Egg And Truffle Mousseline ($4) is a must-try based on novelty factor alone. How adorable is that presentation? 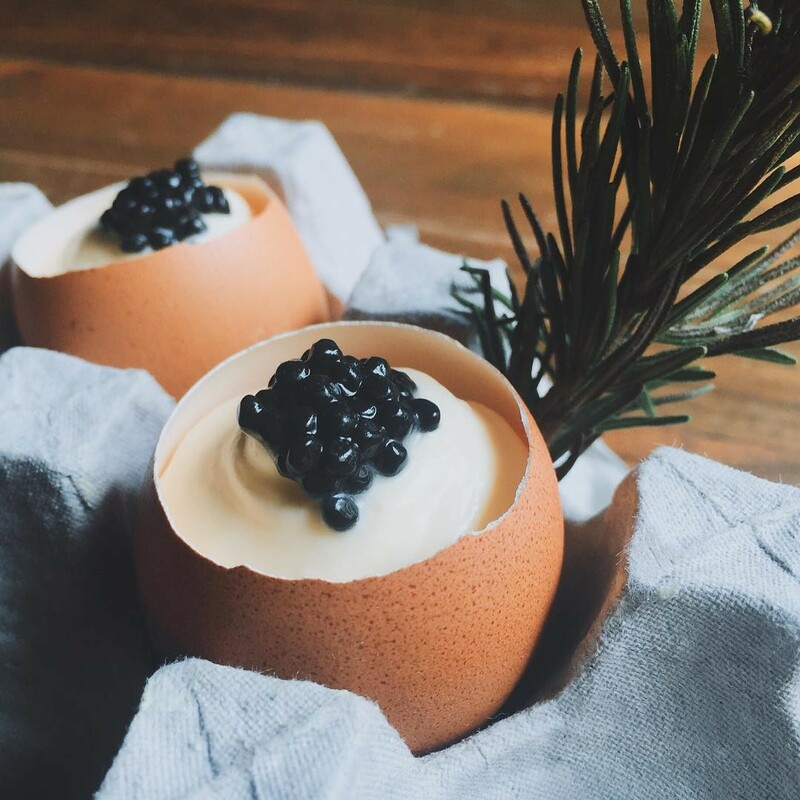 Creamy egg mousse infused with shots of truffe, piped neatly into an eggshell with caviar on top. Cameras at the ready, this was made to be posted online. For a full meal, give their Full English Breakfast ($15) a try. They don’t charge GST or service charge, so yay for that! The opening of PasarBella at Suntec City marks Grilllo’s arrival. 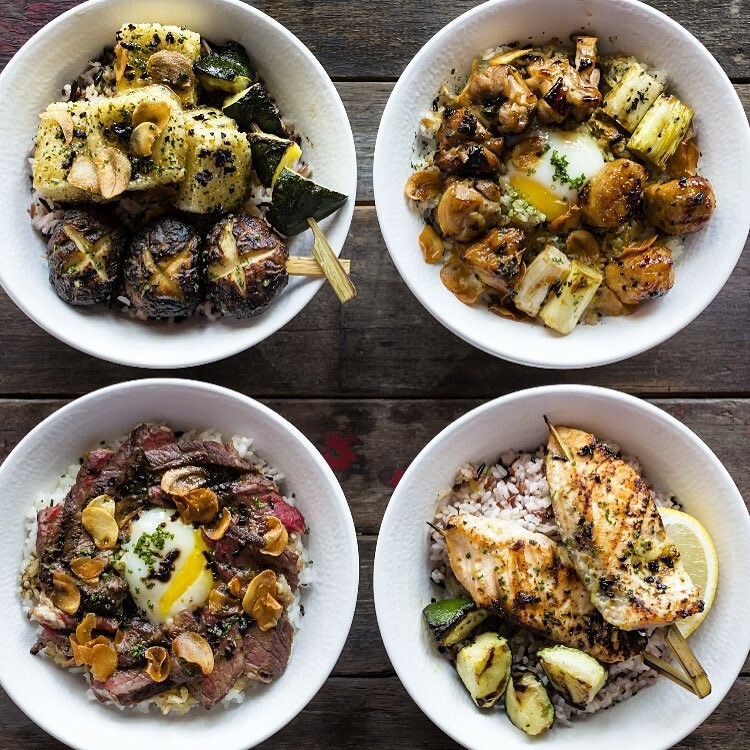 Hipster yakitori skewers and rice bowls layered with succulent meat are their main draw. This is definitely an upgraded version of street food - even the sauces they use are all concocted in-house and bursting with rich flavours as a result. There’s a whopping total of 9 possible combinations for the signature Grillo Box set, so you’ll be spoiled for choice. If you’re feeling fancy, go for the no-frills Truffle Short Rib Bowl ($14.90). Go on a gastronomical journey with unique small plates and cocktails said to be inspired by Asian flavours. Branded by the owners as modern comfort food, take one look at their menu and the level of innovation becomes crystal clear. Definitely not to be missed are the Somen With Lap Cheong And Prawn ($12) as well as a cheekily named Who Moved My Kueh? ($18) cocktail. The latter is a heady mix of pandan vodka, cointreau, passion fruit, fresh lime and egg white. Meat lovers, rejoice. 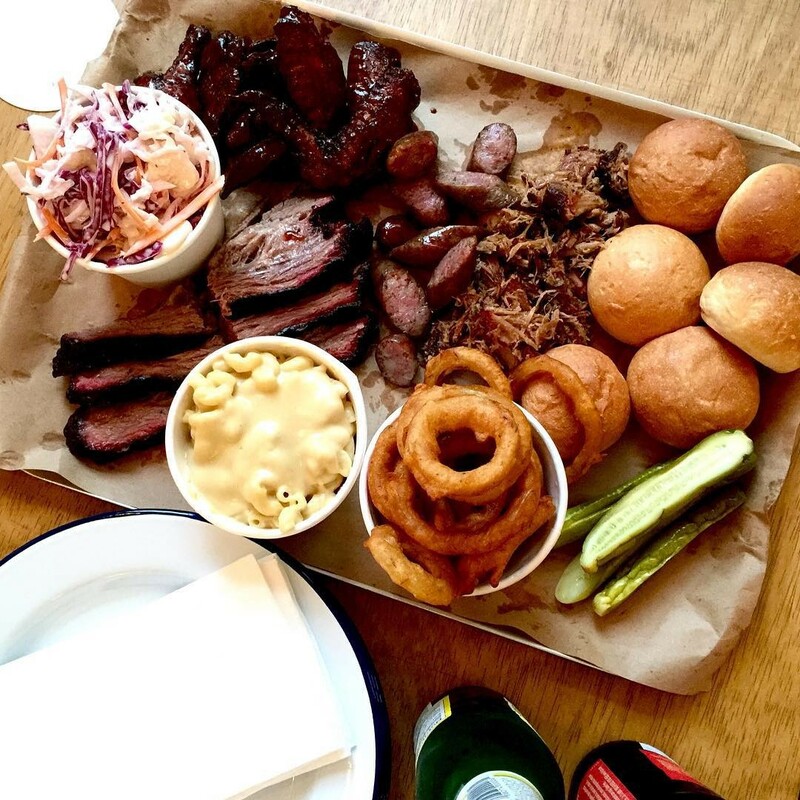 An all-American BBQ restaurant which serves exquisite cuts of all the best meats from belly to brisket, this is how your carnivorous cravings should be satisfied. Their grain fed and hormone-free U.S Short Rib ($38) is sure to hit the spot but if you feel like having some finger food, the Sriracha Chicken Wings ($8 for 6) pack a punch too. Sides include choices like candied yams, onion rings, and a coleslaw which is said to taste rather phenomenal. 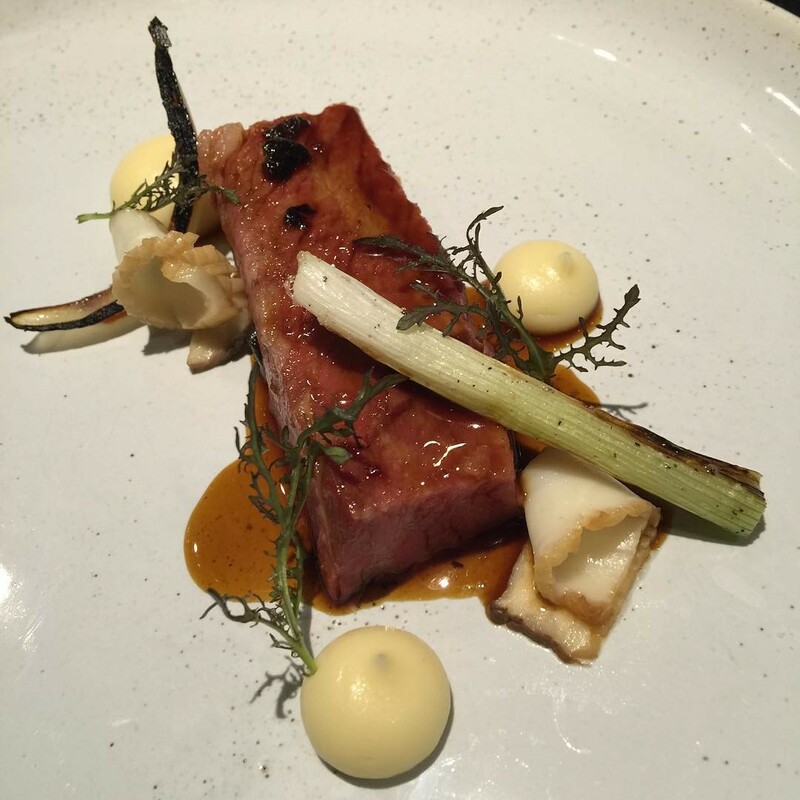 Innovative and utterly scrumptious dishes are the name of the game, and Cheek by Jowl are keeping things fresh by launching a seasonal menu. 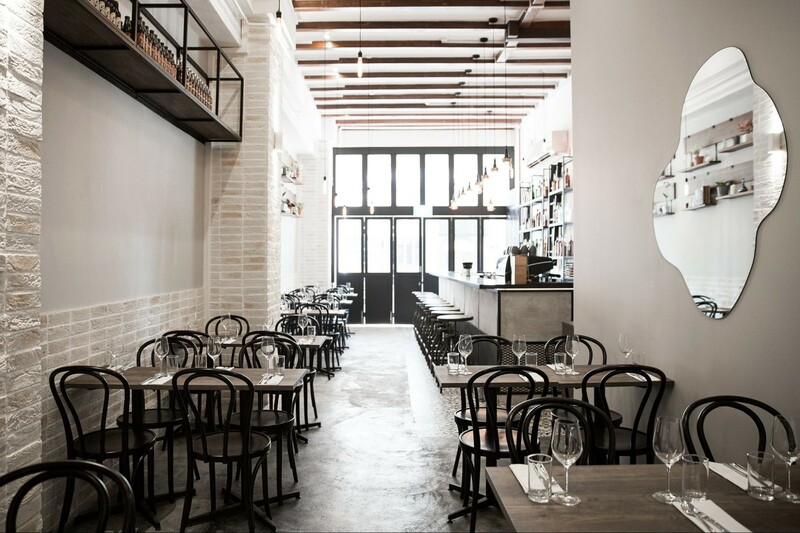 Helmed by a husband and wife duo, this modern Australian restaurant opening in mid-Feb will be THE place to be if you’re trying to knock the socks of your date this coming Valentine’s. Highlights of their special V-Day Menu ($95++) include Pan-Fried Barramundi with Charred Scallion & Burnt Lemon and a Confit Duck Waffle with Five-Spice Caramel. Yup, it’s time to up your waffle game. Fusion cuisine continues to dominate the food scene and Angeleno is the latest addition, bringing us Italian-American meals. 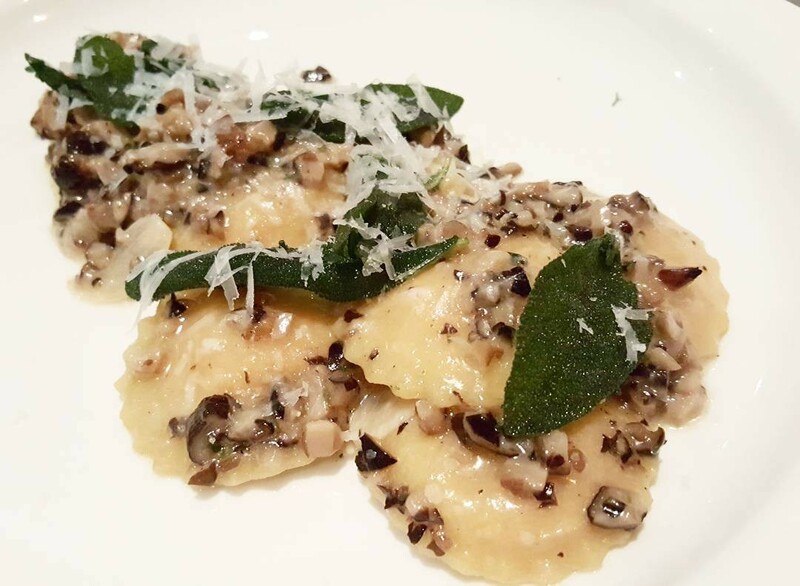 The Winter Squash & Goat Cheese Ravioli ($31) is an interesting take on classic stuffed pasta, being one for the more adventurous palates. As a perfect finish to your meal, go for either the classic Tiramisu ($15) or Pineapple Upside Down Cake ($15). Their version of tiramisu is authentic and tastes of sheer quality, with strong notes of coffee and alcohol powering through. Meanwhile, the pineapple cake is served with a dollop of coconut gelato to create a tropical party in your mouth. 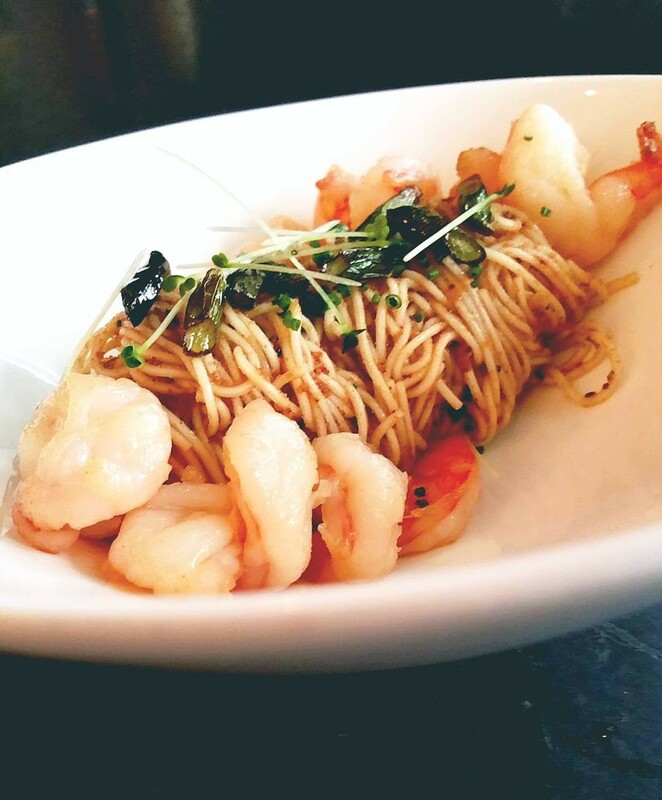 Hailing from South Korea, Meta’s head chef Sun Kim infuses his Asian roots into classic French fare. 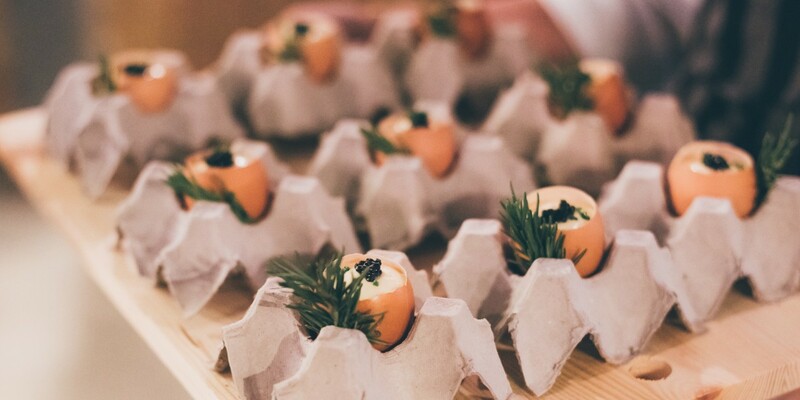 The results are culinary concoctions like Wagyu Beef Tartare With Egg Jelly And Pear Kimchi. Served as part of five or eight course degustation menus that are priced $88 and $128 respectively, the dishes are exactly as exotic as they sound. For something sweet, there’s a White Chocolate Wasabi Cream With Sesame Sponge And Yogurt. As their pastry chef Tammy Mah puts it, “‘there’s always room for dessert”! 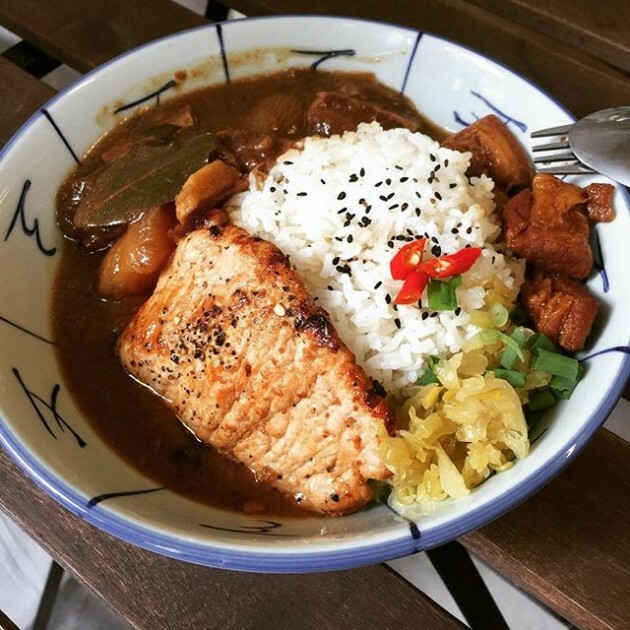 If you’ve never given modern fusion zi char cuisine a try, now is the time. 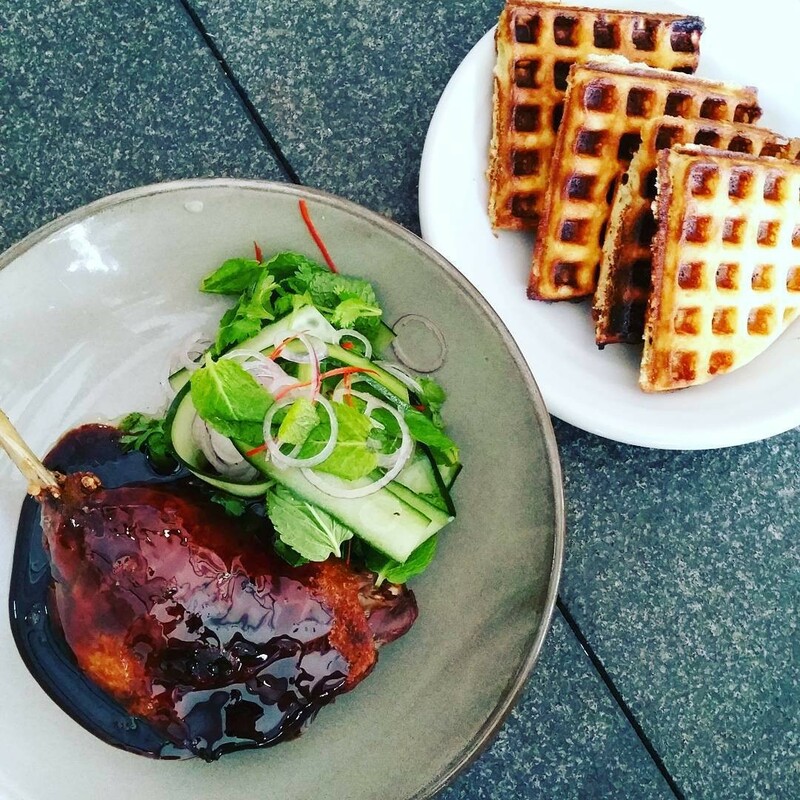 There’s no denying that simple yet hearty hawker fare will always have a place in our hearts - and stomach! - but getting to savour them in an atas (high class) environment just adds a whole new dimension to the experience. 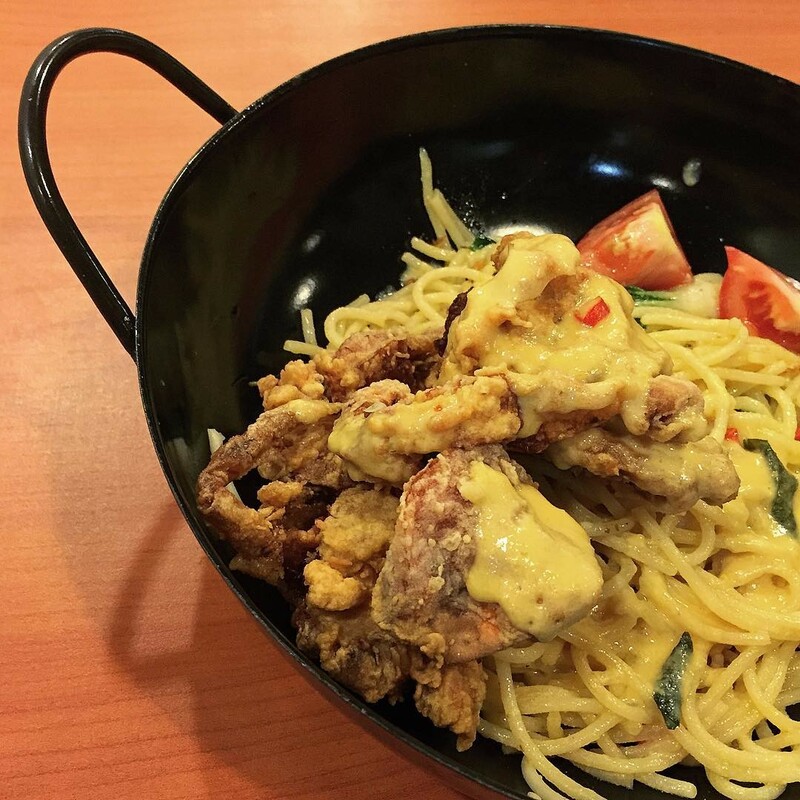 The result of almost two years of hard work and plenty of refining, the menu at KEK Pandan Gardens features stellar recreations of zi char favourites like Chilli Soft Shell Crab Spaghetti ($15), Mustard Orange Prawn ($15) and Salted Egg Potato Fries ($8). A Halal hotspot for modern contemporary Asian cuisine, menu offerings go from Kimchi Pollo Spaghetti ($13.90) to Tempura Fish & Chips ($15.90) and even a Hainanese rendition of Chicken Chop ($13.90). Talk about getting all your cravings satisfied at one place! Desserts wise, give their Pisang Goreng Melaka ($7.90) a try. 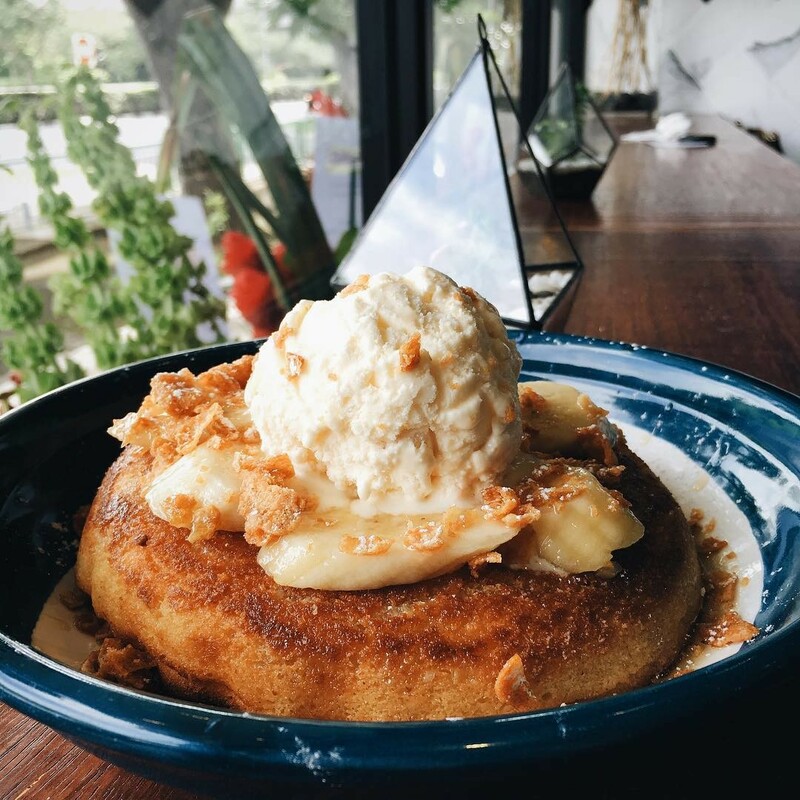 It features banana fritters and coconut ice cream topped with gula melaka and toasted almond flakes. Also make sure to check out their wide range of special mealtime promos for maximum shiok-ness and great savings! Although the streaming platform has recently been launched in SG, who needs to Netflix and chill when you’ve got MEAT? Just kidding. With that being said, you can expect to sink your teeth into premium delights like Black Truffle Angus Ribeye Steak ($38) and Kurobuta Pork Chop ($36). Give their supposed “Meanest Ribs In Town” a whirl. The Signature ($19) comes with sauce choices including bourbon and hickory, but the sweet pineapple and rum-glazed Caribbean Exotic ($23) sounds like a real winner. It’s always such a thrill to hit up new cafes and restaurants, each with the potential of becoming your new go-to fave from the moment you walk through the doors. Give the places on this list a visit and see whether they’ll earn your stamp of approval. The way I see it, it’s going to be categorised under “like”, “love”, and “I’M COMING HERE EVERY SINGLE DAY FOR THE NEXT 6 MONTHS AT LEAST”. Or maybe that’s just me getting carried away by the combination of novelty and ridiculously good food.